Family sessions are always a whirlwind. There’s such magic in the unknown of the moment and seeing how a family lovingly interacts with one another; their laughter, their embraces, their pure joy of time spent with each other. These emotive moments is what we, as photographers, aim to capture as a way to preserve their joy and tenderness in this exact moment of time. The other side of the unknown is the pressure of knowing if you’ll be able to seamlessly coax these bold emotions out of your clients to make the most of your session. From showing up to shoots with a list of Pinterest worthy poses I’d try to flawlessly recreate, to learning to trust my instincts and listen to the wild within guiding me to what will work best for my clients and my personal style of shooting, I’ve come up with a list of foolproof prompts that give me the results I’m hoping for each and every time. These prompts are designed to give you a variety of emotions from the tenderness evoked by the soft whisper of a loving sentiment to the silly laughter from an initially awkward suggestion spun into pure joy. 1 - For Mothers - Look for something you’ve lost. This is one of my favorite prompts to use right now! I ask the mother to look around as if she’s lost something. The mother shows me so many looks and a variety of poses as she’s looking left, then right, up and then down. These movements enable me to look for the most dramatically lit moment and capture it as she authentically continues to search for what she may have lost. This life giving prompt encourages movement and emotion-- two crucial pieces to capturing authentic interaction that will make your audience feel something. 2 - For Parents - Spin. With your little one in your arms or holding your hands - SPIN! This always makes younger children who are getting upset during a session start to giggle, laugh, and enjoy the session so much more. 3 - For Children - Race! 4 - For Older Kids - The way to their heart is through their stomach. One prompt that works with older kids is to ask them what their favorite meal is that their parent makes. Once they respond, ask them to run up to them and thank them with a hug for making them that meal. The running towards the parents, the surprised look on the mom or dad’s face, and the actual hug are all beautiful moments to capture. A favorite prompt of mine to use for couples is to have them whisper in their partners ear. This whisper could be sharing the story of when they first knew they loved their partner, a genuine compliment, or perhaps sharing something they’ve never said before. The couple will be in close for this moment, and the reaction from the listener is always so perfect to capture. When you give one simple prompt such as this, you allow your clients the space to continue to follow through with their emotions. A hug or kiss may follow the whisper and sweet smiles, or a hearty laugh when they get the chance to relive a memory. These prompts are my go-to’s that have given me the emotive results I searched for over the years of developing my own style and confidence. 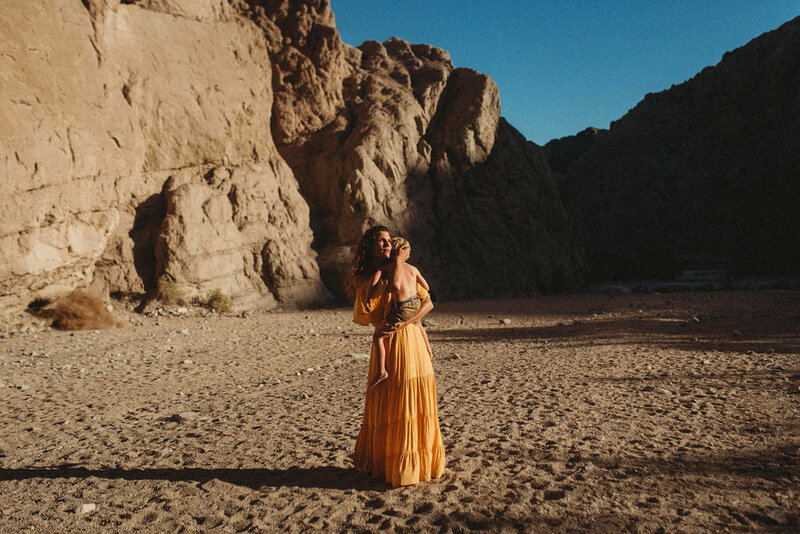 The beauty of prompts is the natural response from your clients that enables you to capture their wild, their truth, and their authentic emotions of love, joy and tenderness that will live on as testaments to a life well lived. Want more on how I pose families? Check out my course included in the 2018 Online Family Retreat! 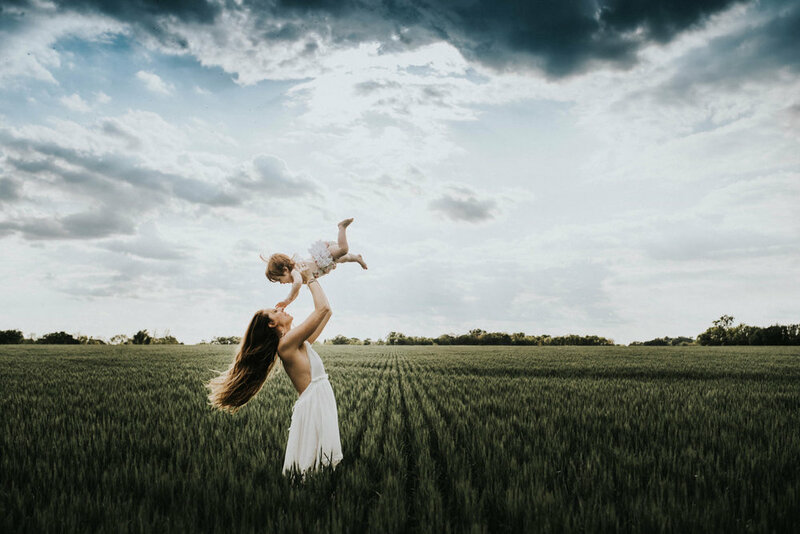 My course is all about my Family Photography Workflow, plus you get amazing content from 18 other incredible family photographers like: My Four Hens, Twig & Olive, Stormy Solis, Danielle Navratil, Sara Hill and so may more! Click here to sign up today and catch the Early Bird Pricing to get $50 off!